Joberate's selection as a finalist for Red Herring's Top 100 North America award adds one more market validation of our unique technology solution, to tackle society’s struggle with workforce-related insights. 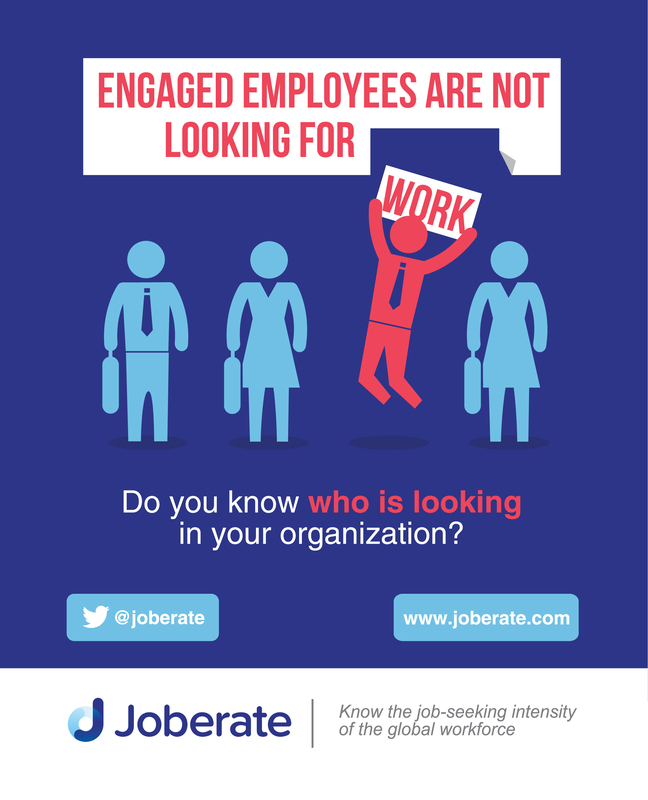 Joberate® is an analytics platform that measures job seeking activities of the global workforce, which enables organizations to make evidence-based recruiting and talent retention decisions, announced today that it has been selected as a finalist for Red Herring's Top 100 North America award. This prestigious list honors the year’s most promising private technology ventures in North American. Michael Beygelman, Joberate co-founder and CEO, will be presenting Joberate’s innovative platform capabilities at the Red Herring North America Forum in Newport Beach, CA., June 6 to 8, 2016. Red Herring has been selecting the most exciting and promising start-ups and "scale ups" since 1995. Twenty major criteria underlie the evaluation and the scoring and process. They include, among others: the candidate company's addressable market size, its IP and patents, its financing, the proof of concept, trailing revenues and management's expertise. Each company goes through an individual interview after filling out a thorough submission, complemented by due diligence from the Red Herring panel. The 2016 list of finalists includes some of the best performing and prominent companies of the year in the fields of security, Web 2.0, software, hardware, life sciences, cloud, mobile and others. "The finalists’ list confirms the excellent choices made by entrepreneurs and VCs and the start-ups' solid roots in corporate America, embracing their innovations. By all metrics, it emphasizes the United States’ entrepreneurial excellence," said Alex Vieux, publisher and CEO of Red Herring. Social Media has enabled job seekers in the global economy to identify and apply for new career opportunities nearly effortlessly, which creates both challenges and opportunities for organizations globally. Joberate’s platform utilizes the power of social media’s public data, machine learning, and scientific data analytics, to convert the myriad disparate pieces of information in to a unique metric called J-Score™. Companies leverage J-Score for insights about their employees, and passive job seekers, which facilitates meaningful lines of communication that were previously closed. Blue chip companies have already started using Joberate to power a whole new generation of real-world business applications in recruitment and retention of talent, while emerging applications are developing for sales and account management, alternative credit scoring, financial hedging and risk management, succession planning and M&A integration, and social and economic research. Joberate also aggregates J-Score information about companies to create indexes that serve as leading indicators of companies’ financial performance. For additional information about Joberate, please visit http://www.joberate.com. Joberate is one of the most innovative and positively disruptive technology platforms to come to market in the last decade, and opens up an entirely new labor market paradigm in the same way that FICO® reinvented financial services. We’ve developed a patent-pending analytics platform that helps organizations better understand the job seeking activities of the global workforce, by providing a single, objective analytic called J-Score™. J-Score fuels evidence-based recruiting and talent retention decisions, and delivers a more accurate picture of how employee engagement correlates to a company’s financial performance. Joberate won the 2014 iTalent technology competition, hosted by HRO Today Forum, from a prominent field of finalists including Glassdoor, Jibe, Smashfly, and 1-Page. In 2013 the company was named a finalist at the UK National Online Recruitment Awards competition in the category of Best Innovations in Online Recruitment along with prominent companies like LinkedIn, and Joberate was recently shortlisted by SAP for the "Big Data Startup of the Year" award.